Sanjay Gandhi Jaivik Udyan (also known as Sanjay Gandhi Botanical and Zoological Garden or Patna Zoo) is located near Bailey Road in Patna, Bihar, India. The park was opened to the public as a zoo in 1973. The park is Patna's most frequented picnic spot, with more than 36,000 visitors on New Year's Day alone in 2011. The zoo is currently home to over 800 animals of about 110 species, including tiger, leopard, clouded leopard, hippopotamus, crocodile, Elephants, Himalayan black bear, jackal, black bucks, spotted deer, peafowl, hill myna, gharial, python, Indian rhinoceros, giraffe, and zebra, emu, and white peacock. Having started as a botanical garden, the park currently contains more than 300 species of trees, herbs and shrubs. Plant exhibits include a nursery for medicinal plants, an orchid house, a fern house, a glass house, and a rose garden. The park also includes an aquarium which is the largest revenue generator after the general admission fee. The aquarium has about 35 species of fish, and the snake house has 32 snakes belonging to 5 species. The Patna Zoo makes considerable effort to conserve and propagate endangered species from around the World. 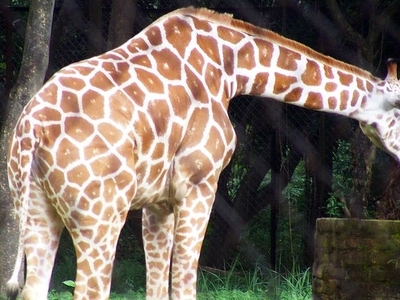 Breeding captive wild animals is a difficult challenge that the zoo has met with some notable success. The Great One-horned Rhinoceros has been bred successfully several times in the past. 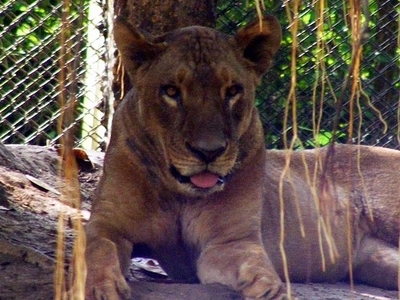 In 2008, Patna Zoo earned acclaim for its breeding techniques. A Hippopotamus has given birth for the first time at the zoo to a male hippo on 19 April 2001. There have been several other hippo births since, including in 2007. A leopard gave birth to 2 cubs on 18 June 2001, after a gap of 16 years since the last birth. An Alligator has bred for the first time in the zoo on 29 June 2001 and after that several time in past.The number of ghariyals or alligators here have gone up from 13 to 129 in the last five years. A Porcupine bred for the first time in the zoo on 12 June 2001 and gave birth to two baby porcupines. Here's the our members favorite photos of "Zoos in Patna". Upload your photo of Sanjay Gandhi Jaivik Udyan! Jitendra Roy is the only Touristlink member to visit Sanjay Gandhi Jaivik Udyan. Have you been here? Click here to save it.